Tatya Tope played an important role in the first fight fought for independence. The name of Tope is included among those who first started the revolt against the British. Let's know the important things related to his life and how he had started the revolution of 1857. 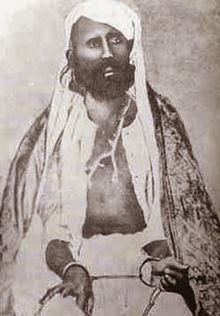 Tatya Tope was born in 1814 in a Marathi family. 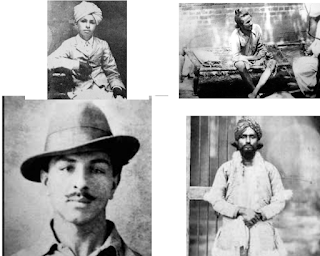 His real name was Ramachandra Pandurang Rao, though people used to call him Tatya Tope. Tatya Tope was also a major contributor to the 1857 revolution against the British. When this battle reached Kanupar of Uttar Pradesh, Nana Saheb was declared as a leader and here, Tatya Tope started his life in the fight for independence. At the same time he took iron against the British several times. Nana Saheb also appointed his military adviser. After defeating the British in Kanpur, Tatya held a meeting with Rani Laxmibai of Jhansi to take the front of Central India. In the days of revolution, he gave a lot of support to Rani Laxmibai and Nana Saha of Jhansi. Although he had to face defeat many times. They were known to invade their guerrilla manner. It is said that he had also worked in the British company. It is said that in the East India Company in Kanpur, the Artillery of the Bengal Army had also worked in Regiment and he always differed with the British. In many parts of India he stabbed the British, and the special thing was that the English army had failed to catch them. Tatya fought a long battle with the British for about a year. However on April 8, 1959, he came under the control of the British and on April 15, 1959, Shiva was given martial court of Tatya tope. After that on April 18, at 5:00 in the presence of thousands of people were hanged in the open ground. However many questions have been raised on his execution. Parag Tope, author of 'Topez Operation Red Lotus', which unveils new facts related to Tatya Tope, said that Tatya was not hanged on 18 April 1859 in Shivpuri, but in Chattisgarh, in Guna district, British got iron from the Baroda. On January 1, 1859, Tatya Tope was martyred.